This historic space (which is currently called the Midland Hotel) has been restored to a T, with reclaimed wood ceilings and exposed brick and stone walls. There are 14 hotel rooms and a restaurant and bar, too. According to the Midland Hotel website, records of the hotel date back to 1891. And look at that! The romance novel vibes we were picking up may not be too far off, after all. One of the hotel's previous owners, Tolula Stovall, who purchased the space in 1891, ended up marrying one of her boarders — bank president Robert Dorsey. Told you so. 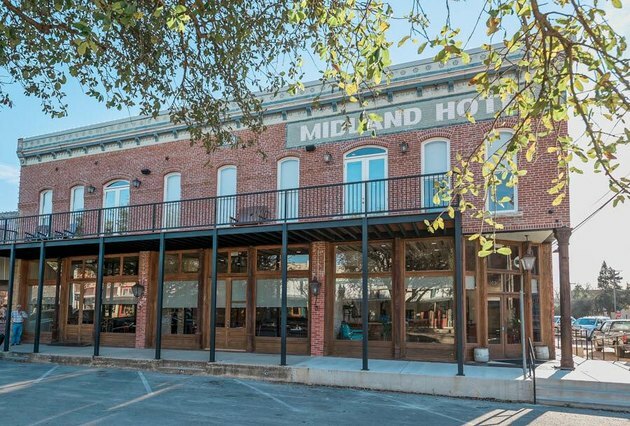 You'll have to shell out $2,350,000 to nab the Midland Hotel, but with all those Gaines family fans passing by on their way to Waco, that may not be such a bad bet.